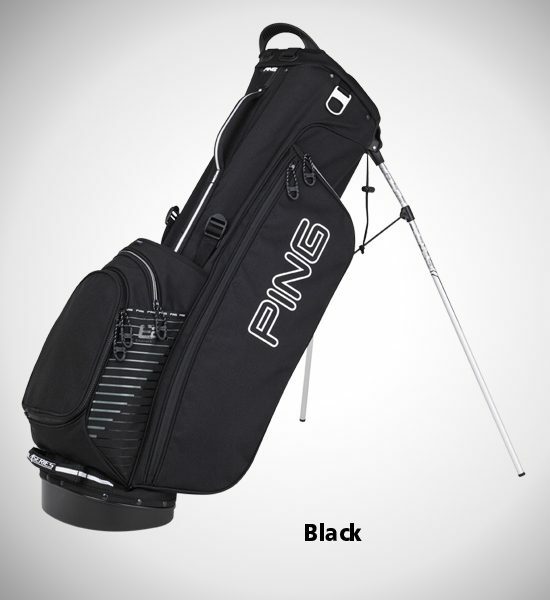 At approximately four pounds, the 4 Series is light and maneuverable with six pockets including a water-bottle pocket, ball and apparel pockets, and a velour-lined valuables pocket. 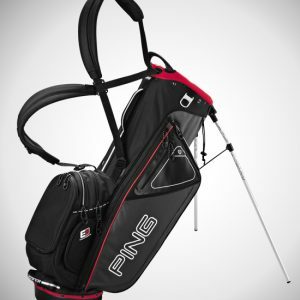 The roomy four-way, mesh-covered bag top has two full-length dividers and wide wells made of high-impact polypropylene for durability and to make club management easy. 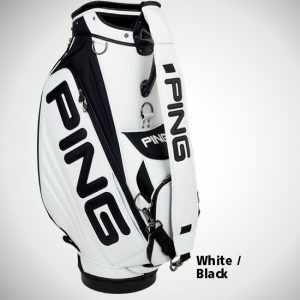 For 2013, PING continues to provide quality, performance and innovation through a concept called Enhanced Ergonomics. 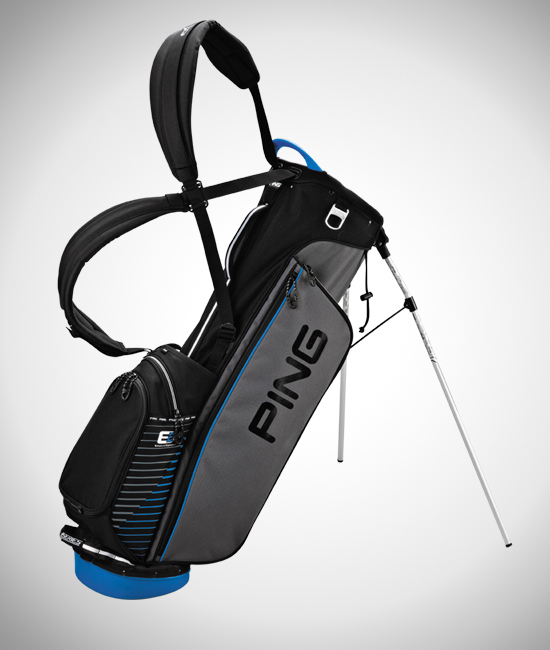 E2 technology includes a strap system for customizing the fit; dual sliding shoulder pads; a strap slider to carry the bag backpack style; plus a leg-retention system. The mesh-covered top is roomy to simplify club management, and includes an integrated handle for easy handling and lifting. 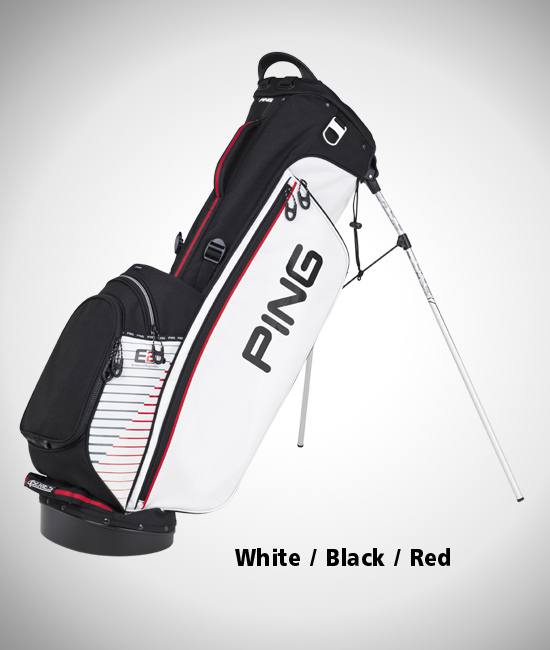 A new strap system optimizes weight distribution and maximizes comfort when carrying the bag with either a single or double strap. 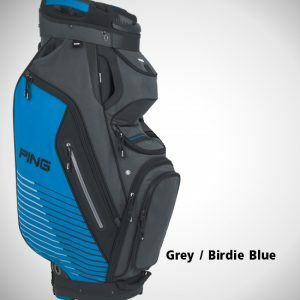 The popular 4 Series bag has new features like an attached, deployable rain hood snapped inside the cushioned hip pad, and a slimmer profile to ensure lightweight comfort. Also new: a wider, 24-inch leg span for added stability. The 4 Series bag is made of rugged 600 denier polyester, and the four-way high-impact polypropylene top with anti-flex walls has two full-length dividers. Eight pockets include a structured water-bottle pocket, plus storage for golf balls, apparel and accessories. PING’s proprietary system of Enhanced Ergonomics provides dual sliding shoulder straps, a strap slider for a backpack fit, and a reinforced bracket with a leg stop. 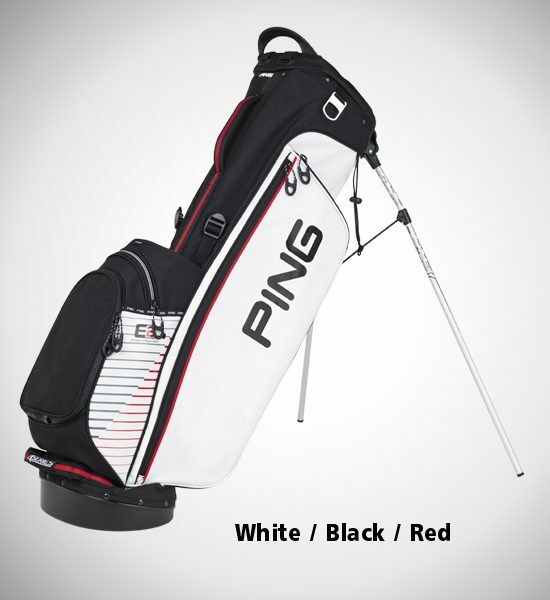 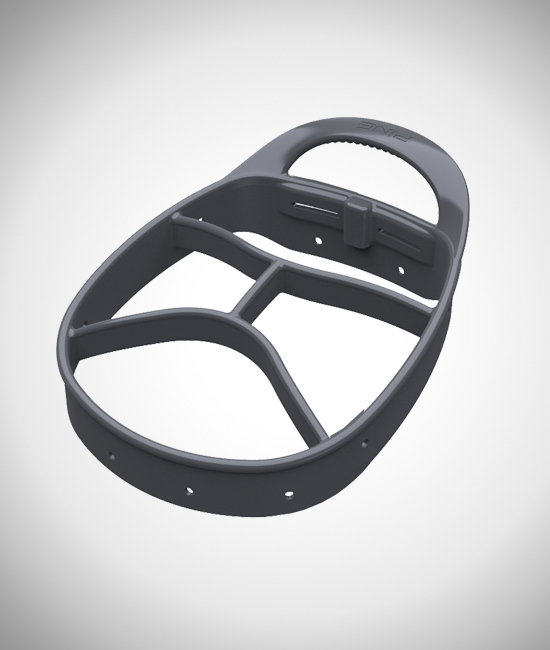 To make customization easier and more convenient, the ball-pocket panel is removable.